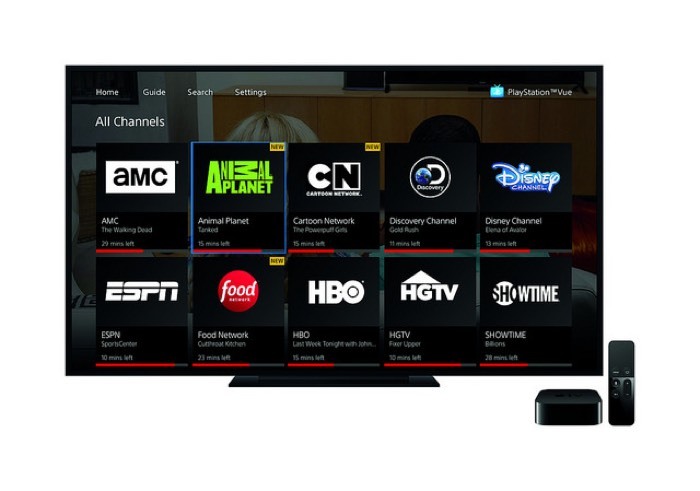 Sony has announced that it is launching its PlayStation Vue service on the Apple TV, the streaming service is now available on Apple’s fourth generation set top box. If you are an existing Vue subscriber, you can use your existing account on the Apple TV, new customers will be charged between $29.99 and $39.99 depending on which city you are in. PlayStation Vue will only be available in the US on the Apple TV for now. You can find out more information about PlayStation Vue on the Apple TV over at Sony at the link below.